1970's decorative casserole dish set designed and manufactured by Morris Rushton for Flesh Pots, UK. 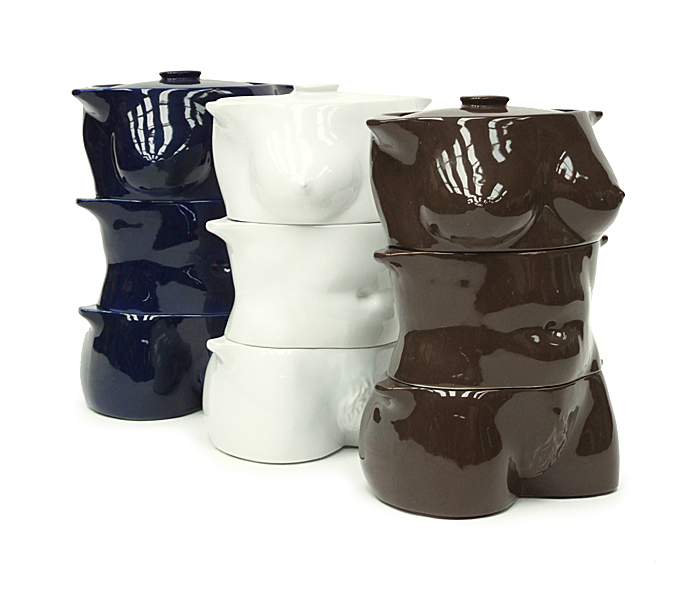 Three ceramic stacking pots in the form of a female torso. Each pot comes with a matching lid. Blue, white and brown available.